Kaia is a phonetic version of ‘Kgae’ meaning home, house, place of gathering in Sotho and eKhaya in Zulu. For six years Suzaan has been bringing a taste of her South African home to her beloved Upper East Side community. “I’ve been coming to Kaia for more than five years, it’s more than a typical New York City Wine Bar, it’s warm, cosy and when you walk in you feel like you’re part of the family.” says a lady sitting next to me at the bar. They don’t make traditional dishes but they use South African ingredients to make innovative, scrumptious meals. Try their Lam Burger with kaia pickled cucumbers, sour cherry compote & local Roquefort on brioche with peri peri chips. Jonty Jacobs specializes in Biltong & Droewors that don’t contain chemicals/additives and are not cured using sodium nitrates like American beef jerky. They have a store in Manhattan and San Diego. They also sell candy, soda, spices, and everything you’d need even Atchaar and Eet Sum Mor Biscuits! 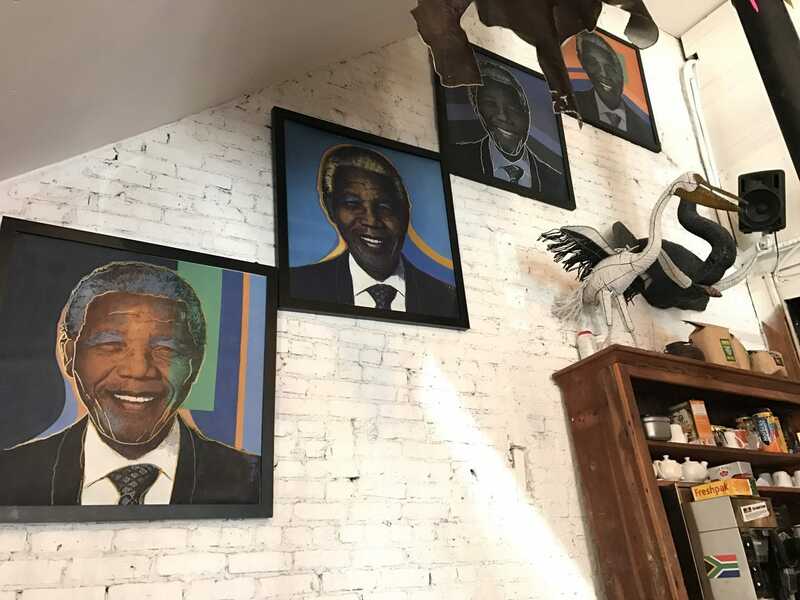 When I walked into Madiba I was impressed with their decor and ambiance, it resembled a typical South African place, although It was a bit cramped as I changed tables three times till I was comfortable. They have a wide variety of traditional South African dishes although some aren’t as authentic as they should be. 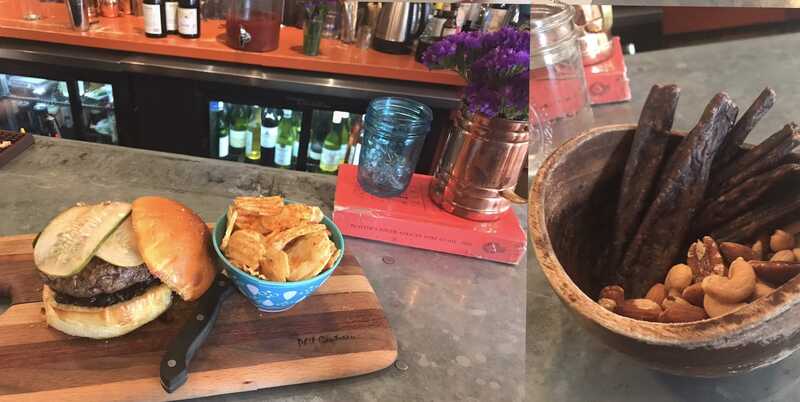 I wasn’t impressed with their slap chips – But, do try their Amarula French Toast and Umgushu (Samp and Beans). Update: Madiba closed in May 2018.